October 16, 1920 marked an important day in the visual history of Humane Education. This was the first public screening of The Bell of Atri, a film produced by the American Humane Education Society (AHES). The film was shown at the Exeter Theater in Boston, and in attendance were a large number of school children and their teachers. The Bell of Atri was based on Henry Wadsworth Longfellow’s poem of the same name. This poem had long been used by those advocating for kindness and justice for all animals, but the film adaptation of this tale had been much anticipated because of the ability of this visual medium to reach such a broad audience. 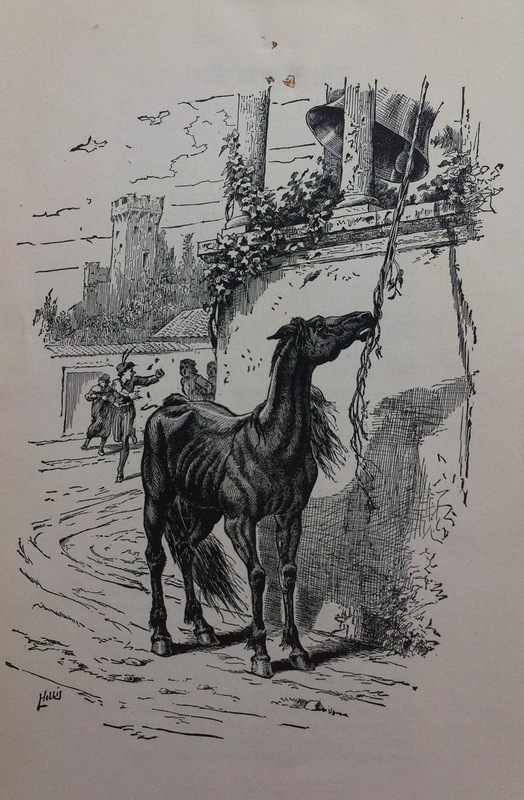 Illustration of Longfellow’s poem “The Bell of Atri” reproduced in Our Dumb Animals. Collection of MSPCA Angell. The American Humane Education Society made the film available for sale and for rent, and it was, by all accounts, very popular and played to full houses around the United States. 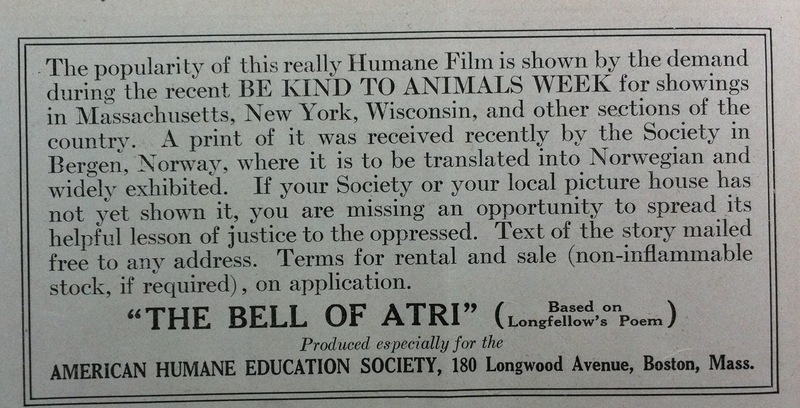 The AHES also made the film available for audiences in other countries–the advertisement below mentions that The Bell of Atri was to be “translated into Norwegian and widely exhibited.” The AHES continually marketed the film, but gave it special attention in the months leading up to Be Kind to Animals Week® each year.